Do I have to do a 10 series? No. The number of sessions that is best for you depends on many factors – life history, daily activities, what you would like to accomplish. After a comprehensive initial conversation, we will together determine a course of action that is tailored to your particular situation. We may re-evaluate and adjust after a few sessions. Most people can tell after one or two sessions if this work feels right for them. Changes usually become more obvious a few days after a session as the body digests the new information. Depending on what you want to accomplish, different goals take different amounts of time. Most people stay in their underwear, but any two-piece swimsuit (for women) or running shorts can work. During the session, you can be covered with a blanket or sheet. Mostly, you should feel comfortable. 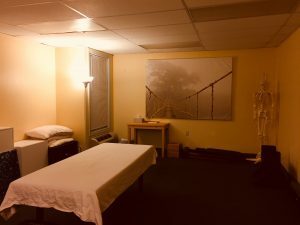 What does Rolfing® feel like? Sometimes very subtle, sometimes quite intense. And everything in between. However, we will always remain within your comfort zone! I check in repeatedly and listen carefully to every client to be able to find and work with exactly the level of intensity that feels right for them. I have heard that Rolfing hurts. I have worked with 3-year old kids, I have worked with horses – none of them will take any pain. 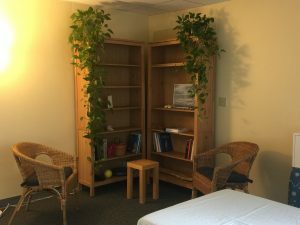 So, no, Rolfing does not have to hurt and while change can sometimes be uncomfortable, it can (and should) always feel right. Is there anyone who should not get Rolfed? People with cancer should not receive hands-on structural work. They may benefit from movement- or biodynamic cranial work. If you have any auto-immune conditions (such as rheumathoid arthritis or chronic fatigue syndrome) that are presently in an intense flare-up, it is best to wait for the inflammatory stage to pass. For the first weeks after surgery, Rolfing is contraindicated. I do not recommend Rolfing during the first trimester of pregnancy. Later, hands on structural work can be extremely beneficial to help the body accommodate to the changes that pregnancy brings and to prepare for birth.